Giloy is also called Guduchi and Amruta in Ayurveda. The word Amruta means nectar, which can save a person from several acute diseases. This herb is considered to be a very significant herb in Ayurveda. 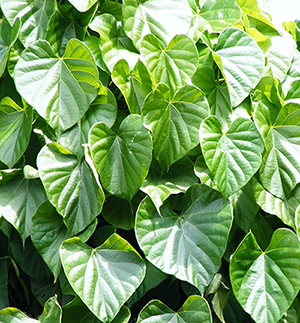 Giloy can be used alone or in combination of other herbs to treat a disease effectively. The health benefits of this magical herb are countless. It possesses remarkable anti-inflammatory and immuno-modulatory properties that make it a highly beneficial herb in treatment of immunity, muscle and bone related diseases. It is a powerful rejuvenator and restores youthfulness in a person. This ancient herb is therapeutic in solving both internal and external body ailments. It is completely safe, pure and hygienic to consume and does not produce any side effects to a person. In this article we will look at some of the health benefits of consuming Giloy. This is one of the most important benefits of Giloy. This herb has got ample amount of antioxidants in it that strengthens the defence mechanism of a person. Your body gets rejuvenated and strong enough to ward off a large number of infections and diseases easily. Giloy is known to be an effective detoxifying agent. It helps in elimination of harmful substances and toxins from the liver and the kidneys. It flushes out free radicals from the body and makes it pure. If you are suffering from any kind of urinary tract infection then start consuming Giloy. Its magical action fights against the infection causing bacteria and gets you rid of urinary tract infections and liver diseases successfully. Giloy is a common remedy to treat chronic fever such as dengue, malaria etc. and other related diseases. This herb shows anti-pyretic properties which keeps various deadly diseases at bay. Consumption of this herb increases the levels of blood platelets and reduces signs of the disease. Extract of Giloy when mixed with honey is one of the best solutions to treat any kind of simple to acute fever easily. Digestion plays an important role in the functioning of the various parts of the body. Giloy improves one's digestion and cures several types of digestive problems such as constipation, piles, acidity, indigestion, loose motion etc. efficiently. People with digestive issues should consume it with jaggery to get quick relief from all types of problems resulting from inefficient or slow digestion. People who are suffering from Type 2 diabetes should start taking Giloy juice as it has beneficial hypoglycaemic properties which lower the blood pressure and sugar levels to a large extent. Giloy helps patients suffering with psychological and nervous disorders. It is a nerve tonic which helps in reduction of stress, anxiety and depression. It sharpens your memory, improves focus and releases toxins from the brain. Giloy is beneficial in many types of respiratory issues such as asthma; tightness in chest, shortness of breath, wheezing, coughing etc. with regular consumption of this herb you would notice these issues getting diminished naturally. Giloy is best known for its anti-flammatory and anti-arthritic properties that relieve one from severe pain due to arthritis. Add some ginger to giloy to treat joint pains and arthritis permanently. Giloy is also effective in treatment of gout. Giloy with castor oil is the best solution to cure gout. Application of giloy paste on the eye lids helps in the treatment of several types of eye disorders such as night blindness, myopia, cataract etc. It improves the power of your vision and makes it clear. Giloy is also effective in reducing the signs caused due to aging. It has remarkable anti-aging properties that not only reduces dark spots, fine lines, blemishes, wrinkles and sagging skin but also brings glow to your face. Your skin becomes flawless and naturally bright. Giloy is also helpful for people with oily skin as it helps in eradication of acne, pimples, itching etc. caused due to excessive oiliness on the skin. So, these are some of the health benefits of Giloy herb. Start making it a part of your daily diet.